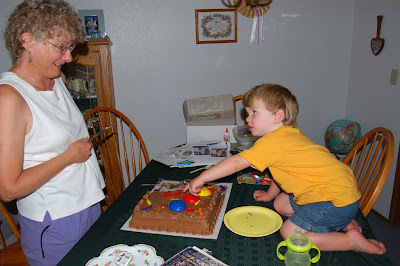 This is the piece I want, Nana, right here, with all the frosting on it! His nose is just so adorable! Funny thing is, I still have to choose the first piece of cake to make sure I get the one with the most frosting! Frosting is the best part of the cake!